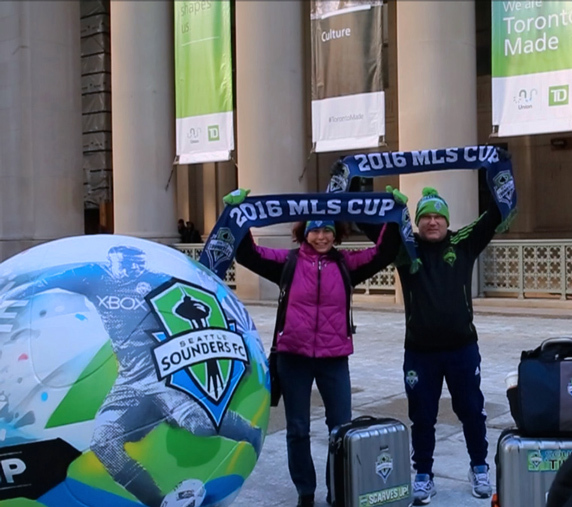 Fans traveled from near and far to be a part of the 2016 MLS Cup action. Civitas was no exception. 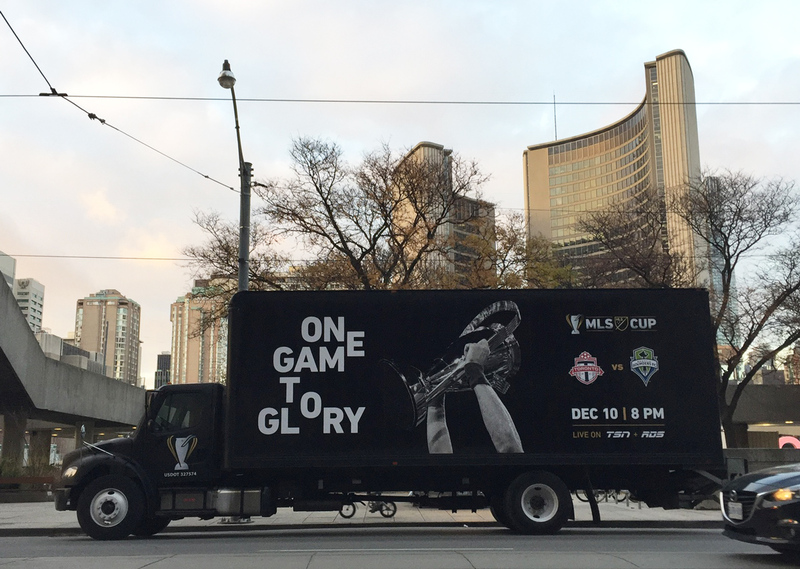 We loaded a custom-wrapped truck, grabbed our passports and travelled up north to Toronto where we spent the week leading up to the game activating surprise and delight moments all across the city for both Seattle and Toronto fans. 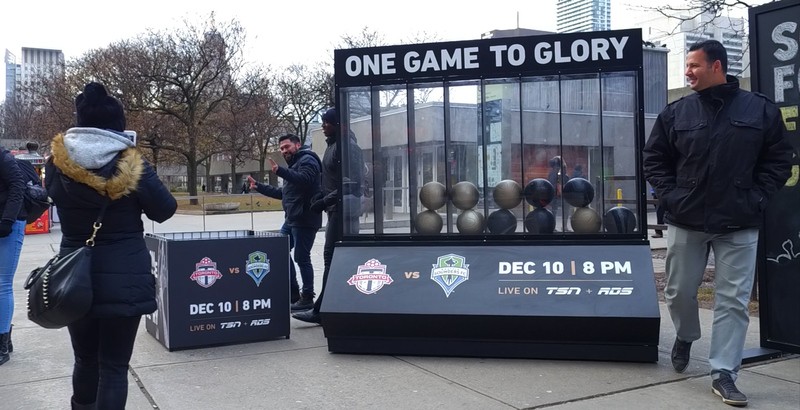 An artful, anamorphic sculpture replicating the MLS ball made a statement at one of the busiest malls in the world. 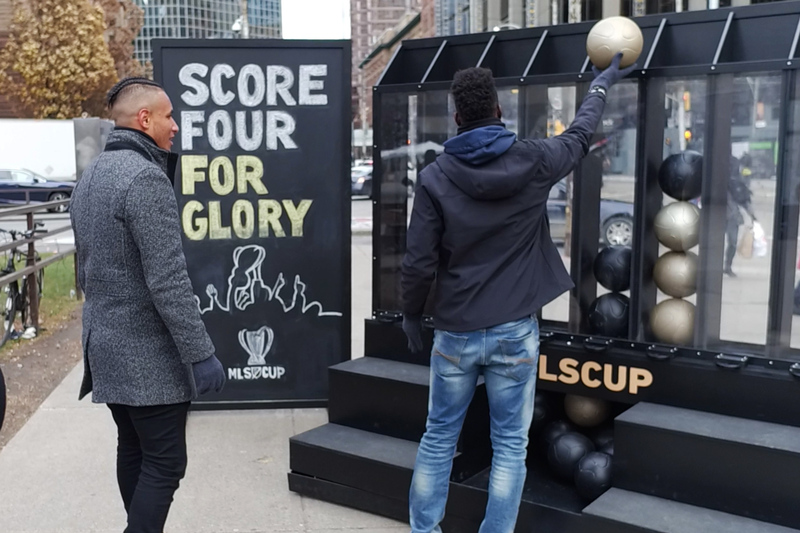 Our giant Connect Four visited numerous downtown hot spots and local supporter bars where fans could come together in friendly competition to win one-of-a-kind prizes. Some lucky fans even had the opportunity to play against MLS elite players like Stu Holden and Juan Agudelo. 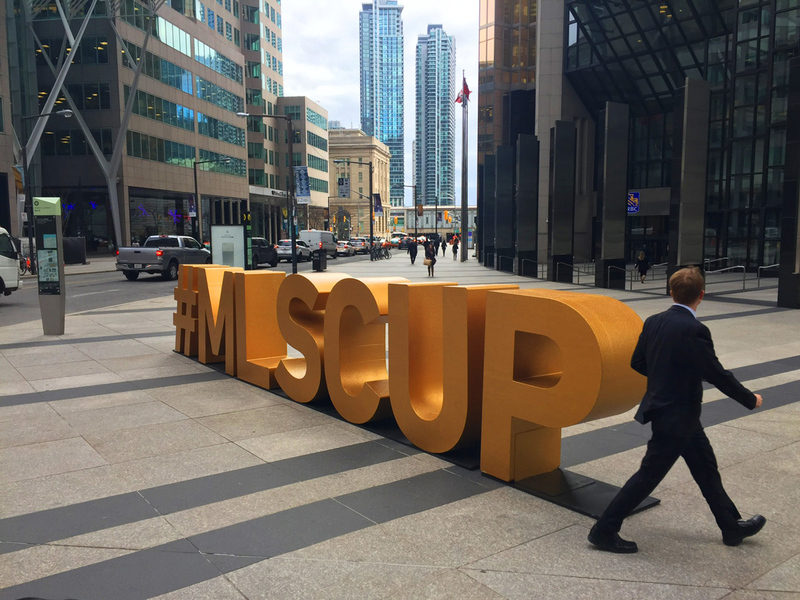 Metallic #MLSCUP letters toured the city, stopping at multiple Toronto hot spots each day. 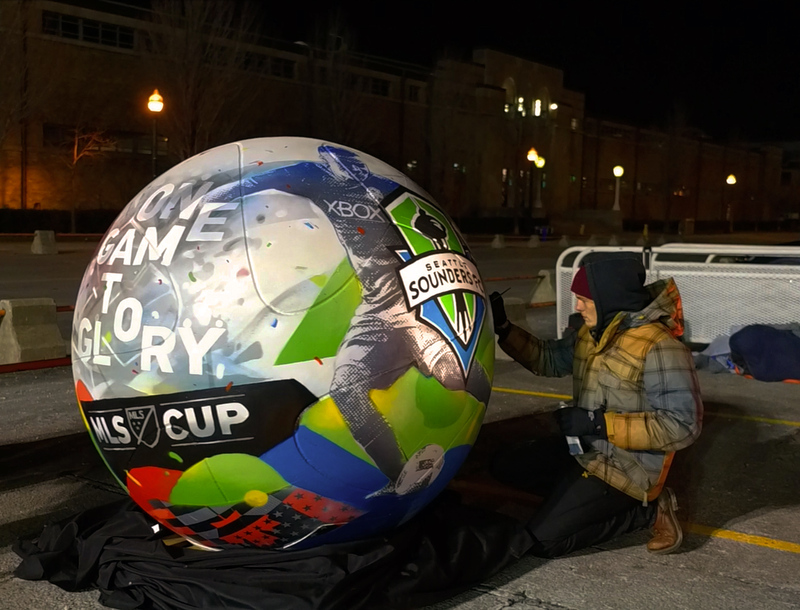 The endlessly popular 6ft soccer ball was transformed into a live art mural that continually evolved throughout the week courtesy of our talented crew of artists. It was also accompanied by free limited run screenprints that were handed out to fans at the big game. All elements finally came together at BMO Field on gameday as fans braved the blistering cold to witness Seattle win over Toronto FC in a final shoot out.